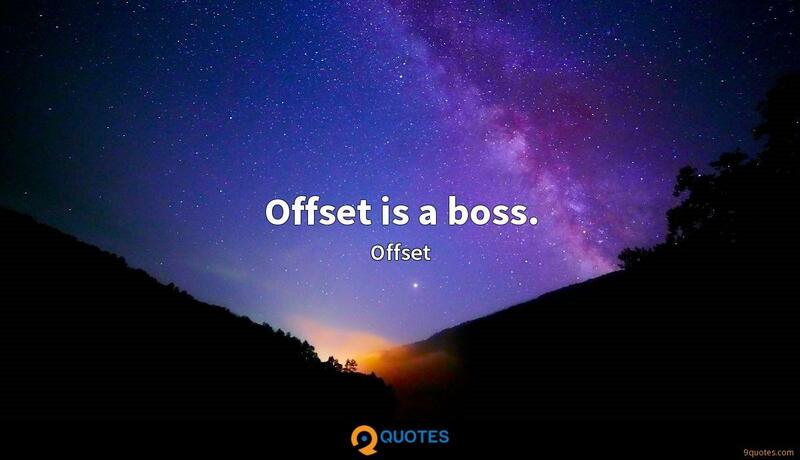 Offset Quotes. 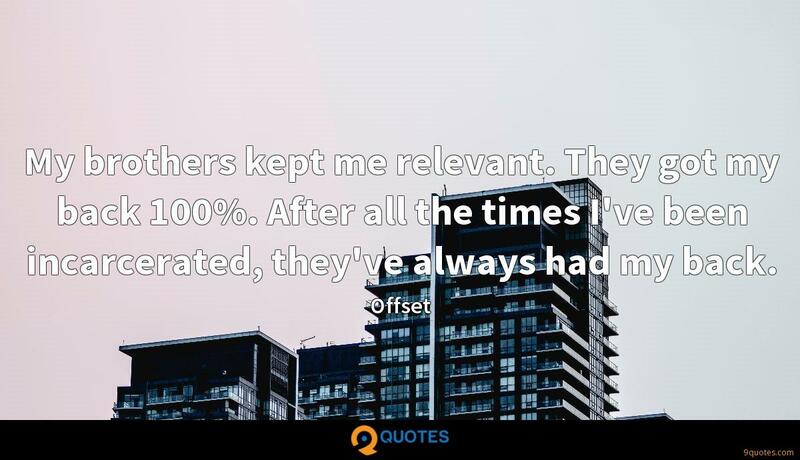 9quotes.com, 2018. http://www.9quotes.com/quote/offset-662070, accessed 24 April, 2019. You know how a machine is built to do one thing and one thing only? Well, the Migos machine is built to make the hits! No matter how it come out, it's gonna be a hit! He was a king that had everything, and he lost it all but still had faith. So God blessed him with 10 times more. When I was in jail, like Solomon, I didn't understand why I was going through what I was going through. I was on the right path. Wasn't riding dirty. Then I got trapped in this hole. So I reached to the Word. 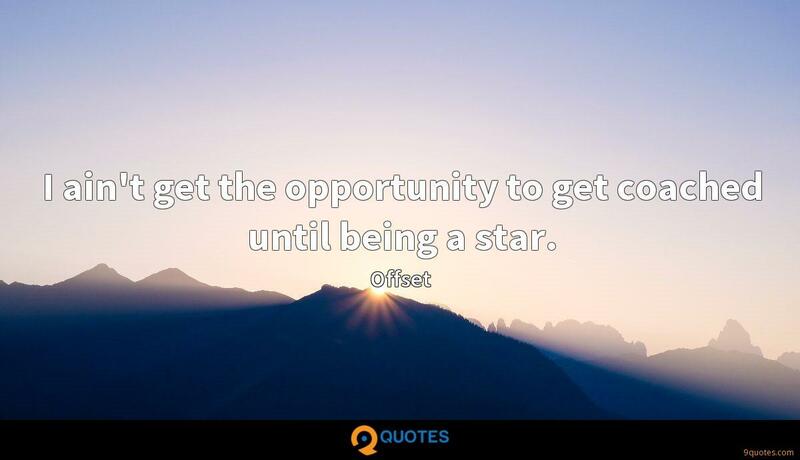 I ain't get the opportunity to get coached until being a star. 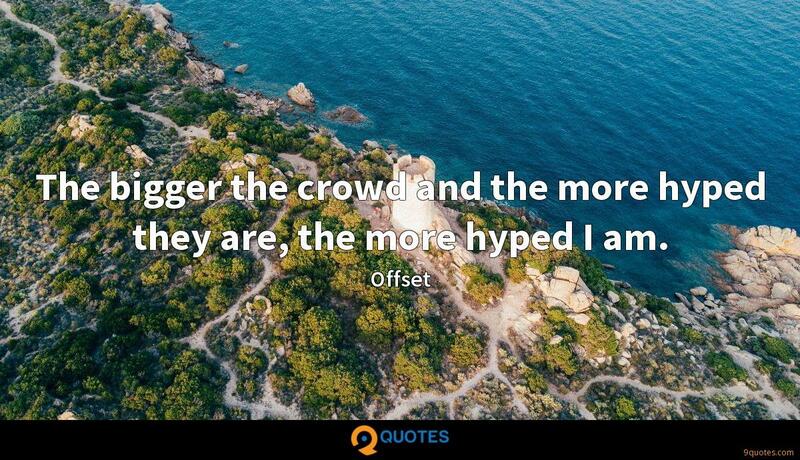 The bigger the crowd and the more hyped they are, the more hyped I am. My brothers kept me relevant. They got my back 100%. After all the times I've been incarcerated, they've always had my back.